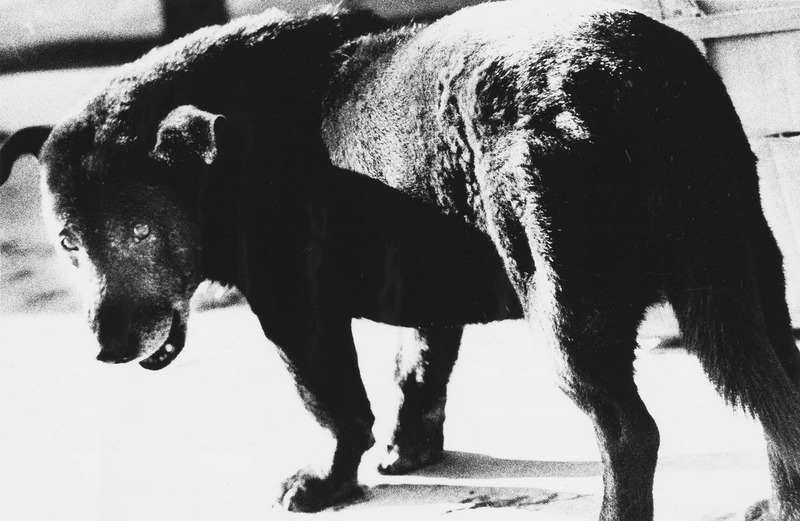 The beautifully imperfect photographs of Daido Moriyama – a master of “imperfection.” His images sometimes lack focus, may be overexposed, too grainy or blurred. In essence Moriyama breaks away from what a camera is traditionally intended for. Moriyama would shoot with very high ASA film, 1600 for example, day or night. He would underexpose the image heavily and then overdevelop it in the darkroom. This would result in a tremendous loss of detail but a massive gain in character. Images would appear extremely high contrast, with exaggerated shadows and blown out highlights. Just as making correctly exposed images is determined in relation to variables in camera shutters, lenses, exposure meters, and personal exposure metering techniques, the image processing techniques will vary from one photographer to another. When working within an analog environment with film, greater command in utilizing the Zone System and the placement of tonal values is achieved through the refinement of film processing, specifically with development times. Image exposure and image optimization (film processing) affect the tonal values of the image. Low values (shadow areas) of an image are created primarily by exposure and are relatively unaffected by film development. 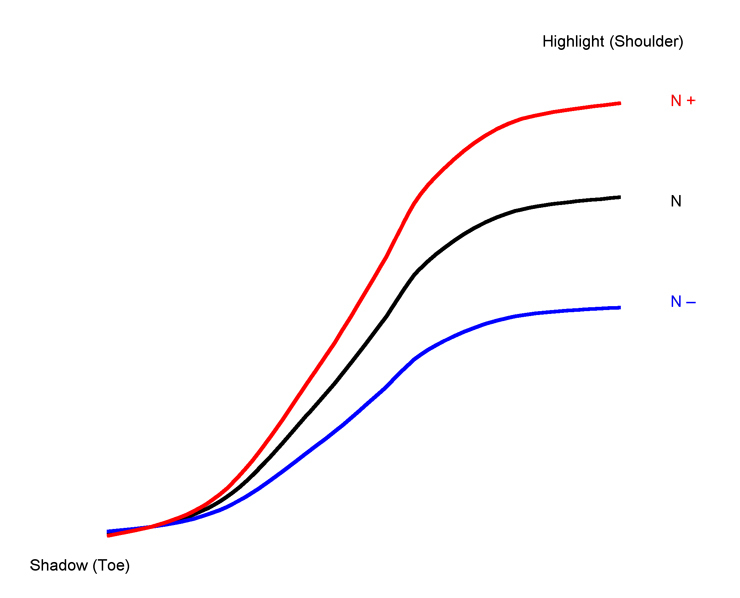 However, development can change the high values (highlight areas) and affect overall contrast. Increasing development increases contrast, affecting primarily the midtone and highlight values with minimal change in the shadow values while decreasing development will reduce contrast overall. 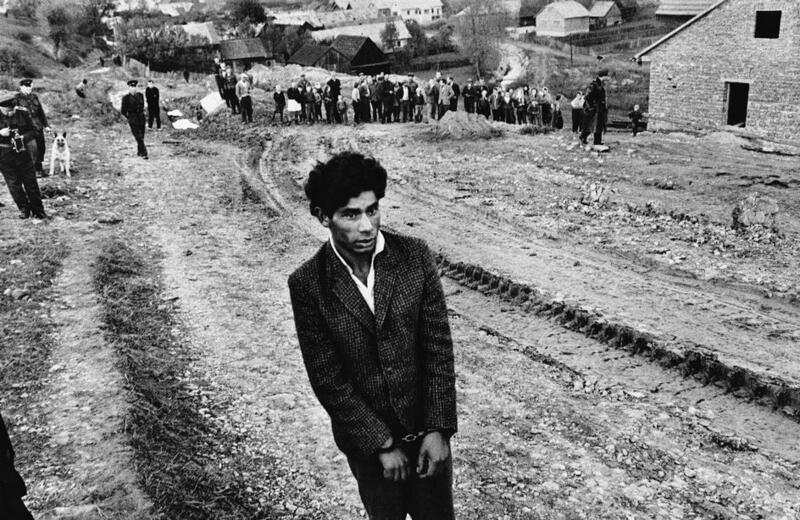 Josef Koudelka, Slovakia, Jarabina, (Reconstruction of a homicide. In the foreground: a young gypsy suspected of being guilty), 1963. In utilizing the Zone System, the photographer has optimum control with the placement of tonal values in the image through image exposure and image optimization (film processing). In low and/or flat lighting situations (indoors or overcast lighting), it may helpful to increase the film development time so as to increase contrast in the image. With lighting situations that are predominantly bright and/or contrasty, decreasing the film development time will decrease the contrast in the image. In the Zone System, N stands for normal development. An expansion (increasing contrast) is referred to as N+ development and is produced by increasing film development. A contraction (decreasing contrast) is referred to as N- development and is produced by decreasing film development. To increase contrast with N+1 expanded development, increase the development time approximately 50%. For N+2 expansion, increase the time approximately 100%. To decrease contrast with N-1 contracted development, decrease the development time approximately 20% and for N-2 contraction, decrease the time approximately 40%. Shoot at least one roll (1) of black and white film (TRI-X or HP5 which is normally rated at 400 ISO. Once film has been shot and processed, select a frame from each roll to make a refined photographic print in the darkroom. Utilize the variable-contrast filters as well as such printing strategies like split-filter printing. Use the “Printing Record” to record each step in the printing process, including time, aperture and filter notations. Use the boxes on the “Printing Record” to sketch out the final secondary areas (burning and dodging). Each critique print is required to be retouched. It is not necessary to mount the photographs for presentation. Turn-in all contact sheets and prints in a manila envelope for evaluation and feedback.